Inconspicuous King Edison Ghost hides a gem behind its humble appearance - a glimmering silhouette of a chandelier emerging like a phantom enveloped in a captivating darkness. 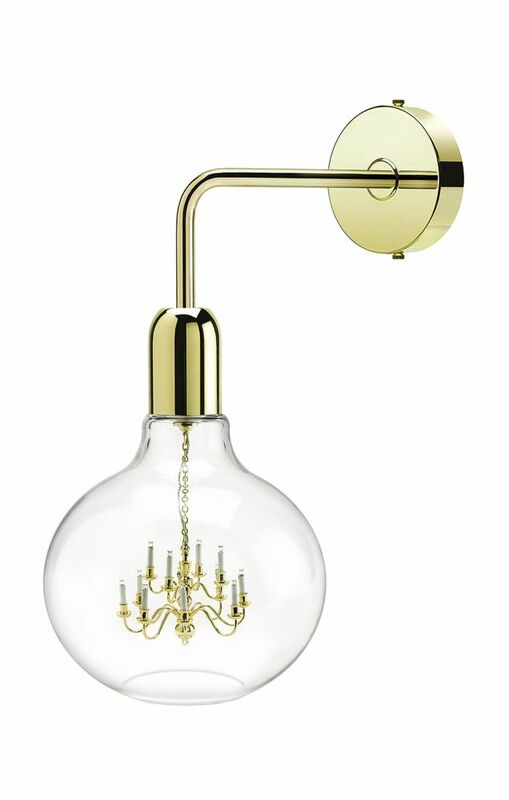 The 'King Edison Ghost Wall lamp' designed by Young & Battaglia, combines the pure simplicity of an Edison light bulb with the romance and glamour of a King chandelier. It consists of a miniature brass chandelier inside a hand-blown black glass shade giving the chandelier glimpsed inside a ghostly feel.